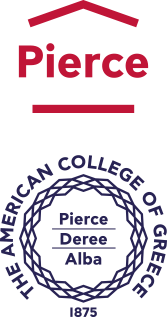 The American College of Greece | Thank you ACG Internship Partners! Home » Why Give » Gifts of Note » Thank you ACG Internship Partners! Thank you ACG Internship Partners! The American College of Greece (ACG) would like to thank all ACG partner companies, foundations, and associations that have offered our students unique internships, helping them spread their wings around the world, and gain valuable and insightful professional experience. Since the launch of the ACG Internship Program, with the Libra Group and the US Embassy in Athens as initial partners, the program has grown exponentially with benefits to both our students and our partners. The program, offered by the ACG Office of Development & Alumni Relations and the Office of Career Services, offers internship opportunities around the world in a variety of sectors. As of 2011, more than 1,000 placement opportunities have been offered to Deree and Alba students, as well as to young alumni, including international placements with our partners in over 27 cities, 14 countries on four continents. The Libra Group, alone, has hosted hundreds of interns since the inception of the program – out of which 122 have been ACG specific – including both Deree and Alba. ACG Students benefit from the myriad of our partner internships, which they find out about at Career Days on campus, job placements, real-case studies, company in-class presentations, on-site visits, and at a plethora of other opportunities on and off campus. The American College of Greece aims for all of its students to complete at least one internship before they graduate – either at a corporation, startup, association, NGO, or other partner, as we believe the program provides ACG students and alumni a bridge to the business world, offering valuable professional experience in sector-specific markets, thereby increasing their skills set and employability. According to recent official data, close to 70 percent (68.4%) of the 2018 Deree – ACG Graduating Class were employed (10% doing military conscription) within six months after graduation, a consistently strong record that ACG is proud of – especially during what has been a trying economic time for Greece. Another 13% of the Class are pursuing further education, while 2.3% are engaged in other activities – bringing the total of those actively seeking employment to 16.3% (and those not seeking employment to 83.7%). As official figures over the last decade show, ACG students’ employability and employment rates buck the trend of increased unemployment evidenced in the country. Through the ACG partner internship program that links education with hands-on experience, students gain practical experience and skills, leading to a more rewarding college experience and better employment prospects; they also broaden and explore their career options working with sector-specialist professionals, are able to start building a professional network, learn best business practices, and gain invaluable other insights. ACG’s internship partners are also enriched through the students’ innovative ideas and fresh perspectives, helping them keep up with new trends, while they also enhance their Corporate Social Responsibility practices through these programs that empower youth and help reduce unemployment. The ACG Office of Development works closely with the ACG Office of Career Services, which communicates our partners’ available internship positions, and also prepares and guides ACG students through the application and interviewing process. Students benefit through a personalized career-counseling session with an expert ACG Career counselor, as well as from workshops on CV building, interview preparation, job-search process, and networking, and can also make use of assessment tests, practice and results to familiarize themselves with Assessment Centers used by companies for employee selection; they can also participate in mock interviews with top HR Consulting Firms and attend several networking events – including conferences and presentations organized by ACG and/or external constituents. As a result of our strong partnerships and our network of more than 55,800 alumni, ACG students have benefited from internships in all corners of the globe, at leading companies in the fields of tourism, technology, automobile, communications, marketing, legal and financial services, to name a few, as well as at a host of inspiring foundations and associations. The American College of Greece would like to extend a big “thank you” to all of our partner internship and apprenticeship providers! Here they are in our latest Honor Roll of Donors. Read about our latest Deree Corporate Internship Recognition Event here.